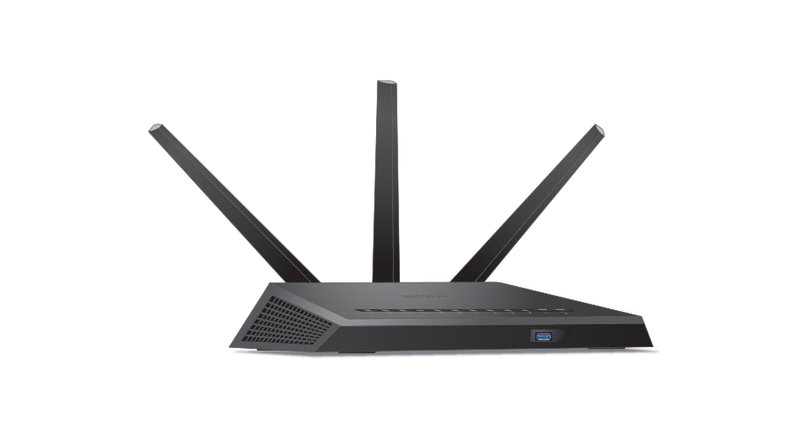 This next generation gigabit WiFi router has a 1GHz dual core processor and delivers extreme speed so you enjoy less lag and less buffering. With Beamforming+ and built in high powered amplifiers and external antennas, get ready for the extreme! Nighthawk also has you covered even when you're away from home. Features such as NETGEAR genie® remote access, ReadyCLOUD®, OpenVPN, and Kwilt app support help you manage your network, have access to a secure personal cloud, access home network remotely, and share photos stored on the storage from anywhere.